My mom happened to be in Virginia for her birthday, so I wanted to make her a special cake for the occasion! It's not every day you get to celebrate birthdays with family when the military is involved, so I was over the moon. I thought this lemon bundt cake might just be the perfect cake for a summer birthday, and it did not disappoint! This is one of those recipes I am going to keep for birthdays, BBQs, and summer get-togethers. If you are a lemon person, you will love it! It's pretty lemony, but I thought it was perfect. Directions: 1. Preheat oven to 350 degrees and grease a bundt pan well. 2. In a large mixing bowl, combine cake mix, puddings, oil, water, 1/4 cup lemon juice, and eggs with an electric mixer. 3. Pour mixture into your greased bundt pan and bake for 40-45 minutes or until an inserted toothpick comes out clean. 4. Let the cake rest in the pan for 10 minutes before inverting onto a plate to finish cooling. 5. To make the glaze, combine the powdered sugar with the zest and juice of one lemon with a spoon. If the glaze is too runny, add a little powdered sugar. If it's too thick, add a little lemon juice. 6. Spoon glaze over a mostly cooled cake. I like to spoon it over the cake while it is slightly warm so the glaze will melt and run down the sides of the cake. i'm not always the biggest fan of lemon anything, but this looks good! That sounds so good. Lemon is my go-to flavor for everything! Yum! I love anything lemon! Yum! I love lemon, and this looks super yummy!! That looks amazing! 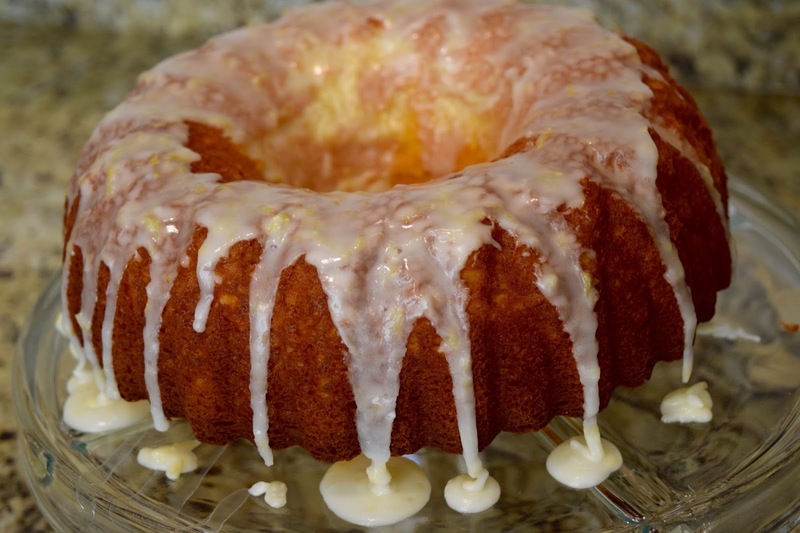 I love recipes using lemon cake mix :) I'll have to pin this to make for my coworkers. Just bought a new crock-pot and will be trying your bbq pull pork recipe this weekend!